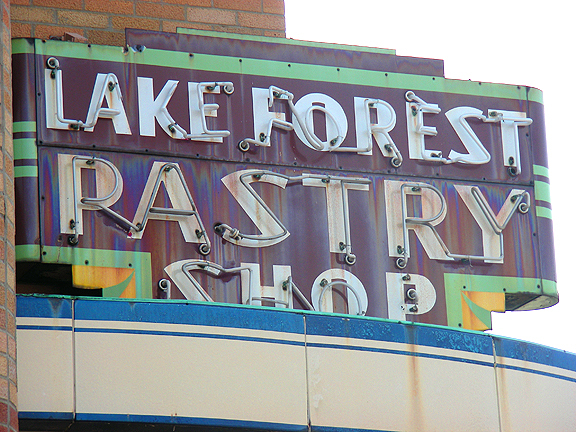 description: Lake Forest Pastry Shop double sided porcelain neon sign. information: Originally mounted on the Lake Forest Pastry Shop in Clayton, at 7737 Clayton Rd. They made the most delicious pastries that have satisfied customers for years, however they are no longer in business.